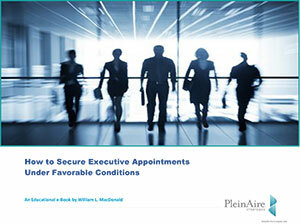 Take a moment to download and read our latest e-book, “How to Secure Executive Appointments Under Favorable Conditions.” We’ll help you scale one of the highest walls in business, breaking through to the executive ranks for appointments that lead to sales opportunities. It’ll be time well invested. And I’ll stand by for questions. Fill out the form below to download the E-Book.